Hail causes about $1 billion dollars in damage to property and crops each year. What does inspecting and identifying hail damage entail? If the reinforcing mat is ruptured by hail, there may be potential loss in the shingle’s water-shedding ability. This is because the ply of roof covering has been removed by the rupture. When a loss in water-shedding ability occurs, there is increased risk for water leaks entering into your home or building and causing further damage to the interior. What are the signs a roof has been damaged? 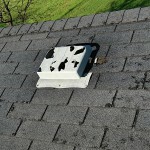 After a hailstorm, it is important to have your roof checked for damage. Trees, shrubs and plants around your home or structure could give clues to the potential of a damaged roof. If plants and trees are stripped of foliage, there is a greater possibility damage has occurred to your roof. Also, dented patio furniture, screens or roof vents are a good sign that damage may have occurred due to the severity of the storm. What advice can you give about the next steps to take? 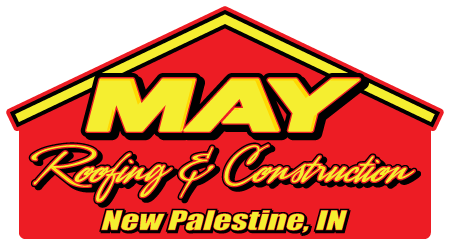 Take advantage of working with a certified contractor, like May Roofing & Construction, along with your insurance company. What many fail to understand is that insurance companies want you to be proactive! The most common mistake is saying, “I don’t have a leak in my house/building so there must not be any damage.” Even though direct damage may not be apparent, leaks and minor blemishes are likely to have occurred and could potentially cause further issues if not located and treated. When in doubt, make sure you have all aspects of your structure inspected. Whether you have commercial property, a residence, lake house, etc., enlist a certified contractor to take a look at the structure and guarantee your family, colleagues, business and property are safe. Call us today!